A comprehensive guide to Mission #2 of Rogue Trooper Redux. Following the tragic death of Bagman you now gain the ability to manufacture items and upgrades from salvage found around the map and from the corpses of your enemies. You will find some scrap almost immediately at the beginning of the mission. Press 'action' to pick it up. Be mindful that the map will now provide a lot of hidden scrap that might mean some more in depth searching. Any enemy killed with provide a small amount of scrap so make sure too loot any of your victims. 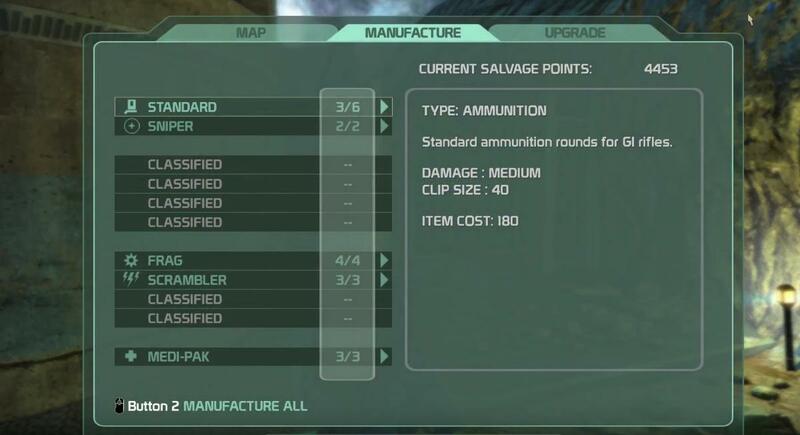 Use your Digipad to bring up a menu in order to use your scrap to create ammo and make micro-mines. Use the mines on the gate ahead of you by pressing 'action'. Walk away from the gates and it will automatically detonate. Once destroyed you can get a new upgrade for you ammo, again by using your Digipad. Continue on through the now exploded gates and dive over the damaged bridge Like a ninja. As you approach the wall you will be prompted to throw micro mines onto a marked spot ahead. Press and hold your Micro Mines action and use the move forward and backwards action to elongate or shorten the distance you throw the mines. Once in place, a Nort will conveniently appear and blow himself up on the mines. Vault over the wall and loot the corpse of the Nort for scrap. 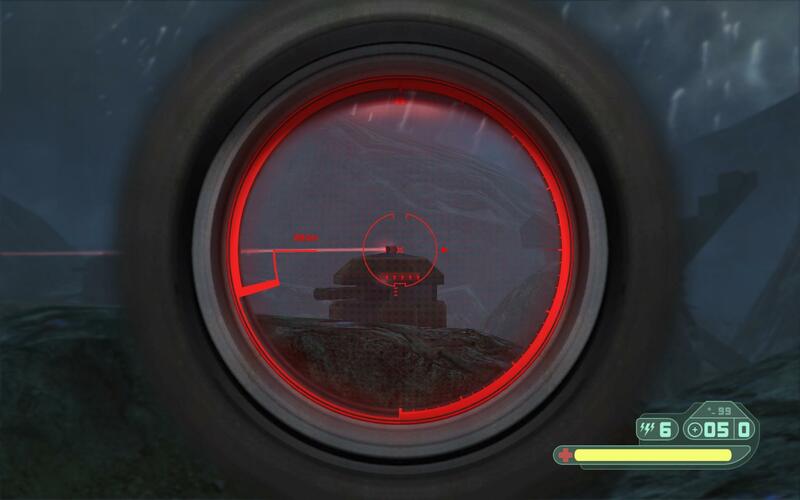 As you turn the corner, make sure to snipe the heavy weapons Nort with your sniper capabilities, utilising a head shot to insta-kill. You will face another merry band of Norts, which you need to dispatch accordingly. 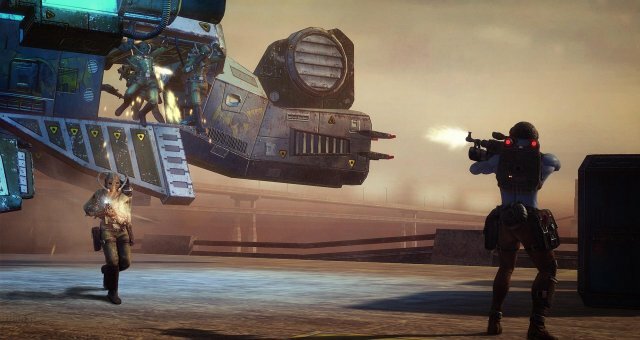 Head to the corpse of the heavy weapon Nort and equip the Emplacement again, destroying the tank as you did in the first mission. Head down into the cavern where you will join a group of surviving troopers. When heading into the cave you will be attacked by a group of Norts who spill out of their trusty drill machine. Take them out and make sure to loot them for scrap. After the cutscene, Bagman will give you blueprints for a new grenade type. Press your Digipad and create the Scrambler grenades which are useful for causing turrets and tactical armour temporary electrical issues. Also make sure to manufacture any ammo you might need. Go back the way you came through the caves, where you will be greeted by another Nort onslaught. Take out all the enemies and head to the gate marked on your map. Allow for your fellow Trooper to hack the gate and head on through. Scale the stairs and head on through the cavern. Take out the Norts at the end of the pass and kill the enemies below with either your rifle or the fixed machine gun post. Go through either of the pathways until you find you team pinned down by pillbox fire. The right hand path contains a large cache of scrap so could be useful if you are in need of upgrades or other amenities. Take each of the red lights on top of the pillboxes out with your sniper rifle and then take them all out with frag grenades. Alternatively you can use scrambler grenades that will temporarily cause the pillboxes to malfunction, allowing you to pass through unscathed. Head toward the beach then curve round to the structure built into the hillside. Take care as a mounted machine gun will deliver heavy damage if caught out. Take out the machine gun operator with your sniper rifle. Head up towards the compound where you will face heavy Nort resistance. Kill all enemy units, making sure to loot for scrap along the way. A cut scene will show a fellow trooper hack into the system to allow you to enter the building. Kill all occupants then access the exit door by approaching it an pressing 'action'. Kill all Norts on your way and right round the front of the huge gun, where you will set a micro-mine disabling the gun. 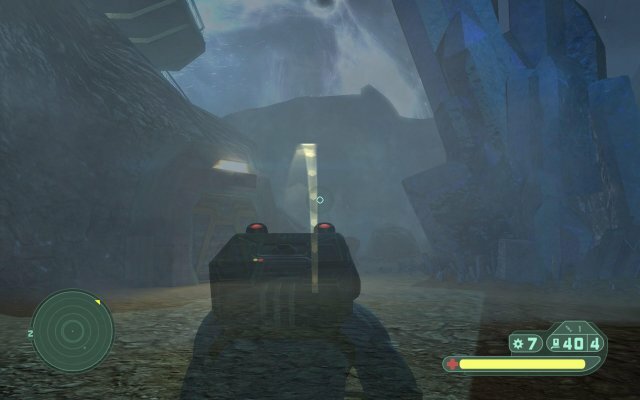 A cut scene signals the end of the mission. Loot as many bodies as possible for scrap. The scrap will aid in the recouperation of ammo and upgrades to equipment. Snipe enemies on mounted machine guns. They deal massive amounts of damage and can end your mission quickly if they aren't dealt with. Utilise the surrounding around for cover when under heavy fire from groups of Norts. Use blind fire to tackle enemies without compromising your position.